From Tuesday May 8 to Wednesday May 9, the Division of Legal Services, successfully organized the second edition of the Legal Awareness Workshop. This followed last year’s auspicious event also held in May. The theme for this year’s workshop was “Empowerment through the Law” and the Division lined up yet another high profile list of guest speakers composed of Prof. Tom Ojienda - a Commissioner at the Judicial Service Commission, Senior Counsel and Advocate of the High Court of Kenya; Ms. Maria Goretti Nyariki - Head of Legal Services and Corporation Secretary at Kenya Bureau of Standards; Ms. Patricia Kiwanuka, a Chartered Financial Analyst, President of the Chartered Financial Analyst Society of East Africa and also a Member of the University Council at USIU-Africa; Mr. Elisha Ongoya, an Advocate of the High Court of Kenya and Senior Lecturer at the Kabarak University Law School; Mr. Alex Gakuru, Executive Director, Content Development and Intellectual Property (CODE-IP) Trust; Mr. Victor Nzomo, an Advocate of the High Court of Kenya, a Patent agent and celebrated blogger on Intellectual Property matters; Ms. MarySheila Onyango - Oduor, Partner and Head of the Family Law Department at TripleOKLaw Advocates and Mr. Samson Atandi, the Senior Insurance Officer at USIU-Africa. In his brief remarks the Chancellor Dr. Manu Chandaria, underscored the importance of saving and accumulating money as part of financial intelligence. Participants at the workshop were taken through various issues of topical interest, such as Alternative Dispute Resolution in Kenya, Financial Intelligence Quotient, Constitutional rights and their enforcement in courts, E-Conveyancing, Internet Governance, Intellectual Property Rights, Succession law, Marriage law, Children & the Law, Sexual Harassment in the aftermath of #MeToo campaign, and Insurance. Key highlights included the ten lessons one needs to learn and practice in order to achieve financial intelligence, inter alia: accumulating money; giving money to the less fortunate; creation of wealth; and making a distinction between good and bad debt. The current changes effected by the Ministry of Lands on the digitization of conveyancing transactions were broken down in detail with key emphasis being placed on the due diligence that parties to any conveyancing transaction ought to undertake. Participants were also informed that The Movable Property Security Rights Act, which was assented into law on May 10 2017, will facilitate the use of movable property such as intellectual property rights, as security for loan facilities. Participants also got to learn about the different modes of alternative dispute resolution including but not limited to negotiation, mediation, conciliation, adjudication and arbitration. 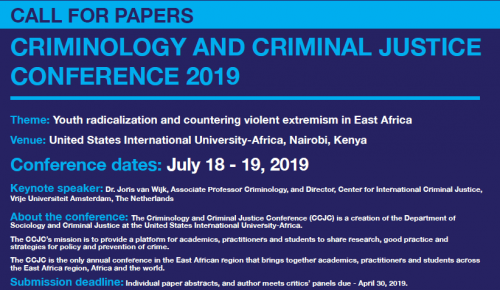 It also emerged that there are only 11 Child Protection Units in Kenya and that USIU-Africa played a major role towards the establishment of the Child Protection Unit at Kasarani Police Station. While elaborating “Internet Governance”, Mr. Gakuru pointed out that the rapid evolution of the internet needs to be accompanied by development of robust policies and systems that govern their use. Of particular concern was the ethical and legal challenges inherent in emerging technologies such as Artificial Intelligence.With the numerous risks faced by everyone including old age, death, accidents and disabilities, participants were advised to plan their future carefully by including life insurance in their financial decisions. Further, in the wake of natural disasters like floods and bursting of dams, participants were informed that taking out a Fire Insurance policy is important as it helps secure your household properties against such risks. 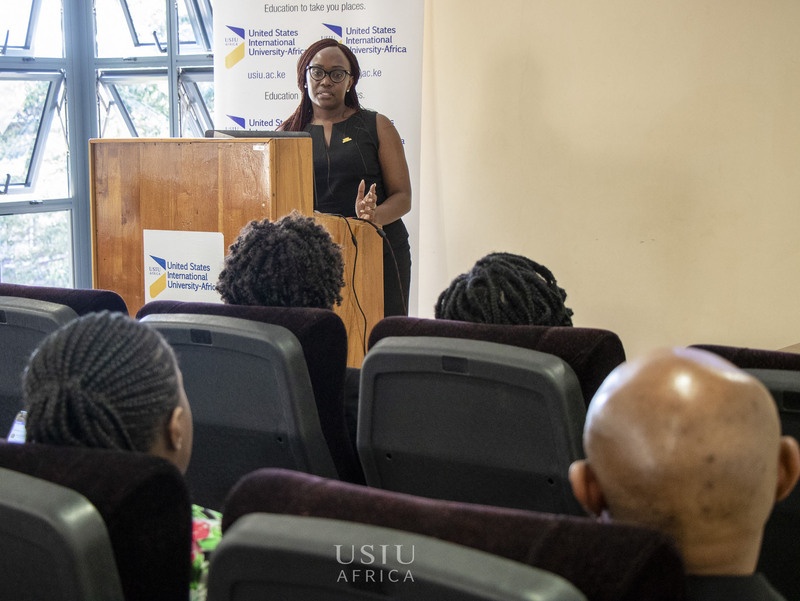 In her closing remarks, Ms Hellen P. Ambasa, the Director-Legal Services & Company Secretary, thanked the facilitators for taking time out to share their skills and expertise, as well as the university fraternity for honoring the invitation to attend the workshop. She also extended a heartfelt appreciation to her team for the work done in ensuring that the event was a success.